The types of personal information we collect about you will depend on what services you use or products you acquire. This may include collecting your name and address, your date of birth, your email address, mobile number, your contact address, credit card details, payment and transaction details/history, cinema preferences, and where you have the option to comment on our services or products whatever other information you choose to supply to allow us to provide products and services to you. We may collect your personal information in relation to your interactions and transactions with us. This includes: making a purchase in a cinema or online, participating in a promotion, competition or survey, using your number or associated identifiers such as payment cards, registering for services and using related digital services. We hold personal information electronically and in hard copy form, both at our own premises and with the assistance of our third party service providers. We implement a range of measures to protect the security of that personal information. The Company will not disclose your personal information for purposes or to parties other than those outlined above without your consent. The information that we collect from you is strictly confidential. We do not sell, rent, loan, trade or lease the addresses stored in our database to any unrelated third parties. Pukekohe Cinemas Ltd uses the information you provide to us to help you access the services or acquire the goods that Pukekohe Cinemas Ltd provides more easily. We also use personal information to administer, improve our products and services and tailor them to your interests. We may also send you marketing material about products and services we believe are suited to you and your interests and communicate with you using social media channels and platforms. If you do not wish to receive any of this material you may simply choose “unsubscribe” from our mailing list or contact us using the details below, and no further material or communications will be sent to you. In providing us with your personal information, you consent to this disclosure. Pukekohe Cinemas Ltd will not disclose your personal information for purposes or to parties other than those outlined above without your consent. 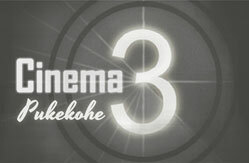 If you post reviews or comments on this website or provide other written feedback to Pukekohe Cinemas Ltd (“Response”), you grant Pukekohe Cinemas Ltd a non-exclusive, royalty free, perpetual, irrevocable, and fully sub-licensable right to use, reproduce, modify, adapt, publish, translate, create derivative works from, distribute, and display the Response throughout the world in any media. You also grant Pukekohe Cinemas Ltd and sub licensees the right to use the name that you submit with any Response if any, in connection with the Response. From time to time, Pukekohe Cinemas Ltd will promote or conduct competitions on its website. When these competitions are run, you may also be given the choice of being on a mailing list to receive further contact from us. Unless you choose to receive further communications from Pukekohe Cinemas Limited, the information we collect from your entry in the competition is not used for any purposes other than the competition. Any personal information that we collect about customers, including email addresses, will be kept in Pukekohe Cinemas Limited‘s database. The database will be accessible only by those authorised to perform normal daily tasks such as updating addresses and renewing memberships. Pukekohe Cinemas Ltd will take all reasonable precautions to protect the personal information it holds from any misuse, loss, unauthorised access, modification or disclosure. The internet is not a secure environment. If you use the internet to send us any personal information, Pukekohe Cinemas Ltd will not be liable for events arising from unauthorised access to your information. You have a right to access and correct most of the personal information we hold about you. If you wish to have access to or correct your information, please send us an email or letter at the addresses provided below. If Pukekohe Cinemas Ltd does not allow you to access or correct your personal information we will provide you with the reasons for our decision. You should provide us with as much detail as possible about the particular information sought, in order to help us retrieve it. An access fee may be charged. If you wish to make a complaint about a privacy matter, we will examine the complaint and endeavour to respond within 14 days. If you are dissatisfied with our response, you may refer the matter to the New Zealand Information (Privacy) Commissioner (see www.privacy.org.nz).